The elderflower trend may be coming to an end as haute bartenders move on to yumberry, acai, and other oddities, but I remain an undeterred St. Germain fanatic. There are simply few cocktails in the world that this golden French spirit can’t either improve or twist into something new and exciting. Sure, this won’t work for everything (particularly whiskey drinks), but it speaks to St. Germain’s serious versatility. Sweet but not cloying, the 40 proof liqueur offers a strong lychee character that is balanced with lavender and summer herbs plus a lemon finish, altogether giving it a lightness that you rarely (if ever) find in other fruit-flavored liqueurs. The only real problem is the price: At $30 a bottle (or more) you spend way too much money since you’ll find you use far too much of this stuff, it’s that good. Need St. Germain cocktail ideas? Take a spin through the Recipes category on Drinkhacker and you’ll find loads. I also try to keep this in stock for cocktails. Nice and sweet, but a good peary flavor. I’m curious to know if St. Germain compares favorably to Xante pear liquer. 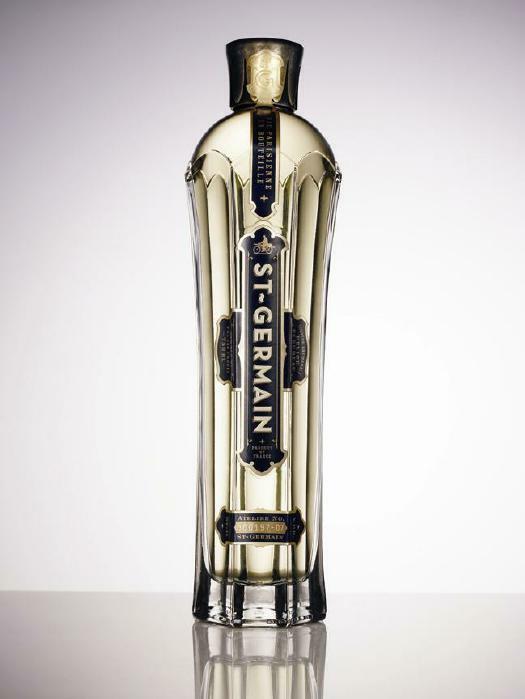 Do you really thin St. Germain won’t work with Whisky ? There’s a restaurant in Tucson that specializes in strange/delicious Mediterranean-fusion food and similarly strange/delicious cocktails. My favorite cocktail that I’ve tried came from them, and included this – they called it a Bohemian Bicycle, and according to the waitress (who gave up the recipe suspiciously easily) it was one part Bombay Sapphire, one part St. Germain, one part lime juice, and soda water, garnished with a fresh basil leaf. I have yet to acquire some St. Germain to replicate this drink, but it’s absolutely on my list. What resturaunt in tucson? That’s where I live. I tried St. Germain’s straight from a small bottle (I try a few new things every month), and found I love it. I too was reminded of Lychee, (which I also bought to make tradewinds). Anyways, I love this stuff and intend to keep a bottle in the house whenever I can. The restaurant Feast on Speedway. Too Easy: Toss a splash of St. G’s on top of a gin & tonic…can I say, “lovely”? I had a martini at a martini bar in Sarasota that was so good, I got the recipe. Later, while in Manhattan, I had a similiar experience. Both contained St. Germain. I recall it added a ethereal quality to the drink, like some soft flowery champagne. Unfortunately, I have been unable to find a bottle back home in Indiana, and I’ve been looking now for about 4 years. Dan – seriously? This stuff is everywhere out here in CA. You can get it at the grocery store. St. Germain in whiskey drinks is great. Well, you got at least one A+ correct. SanGerMan blows away poor Thatchers Elderflower (which is sort of sad because the Thatchers is not bad).